When you are planning for travel, you may have many items on your checklist. These items could be appropriate clothing to pack, medical kit, good shoes, having your documents ready, getting accommodation sorted and many more. Has it ever occurred to you that you would have to plan to travel without getting affected by bed bugs? Bed bugs are very common but irritating insects that you can spot anywhere you go. Many people wrongly assume that these insects are found only in cheap hotels. That’s not true at all. These bugs adjust themselves to all kinds of places and weather. They are found in luxury resorts, cheap hotels, airports, movie theatres, parks, your friend’s homes – almost anywhere! 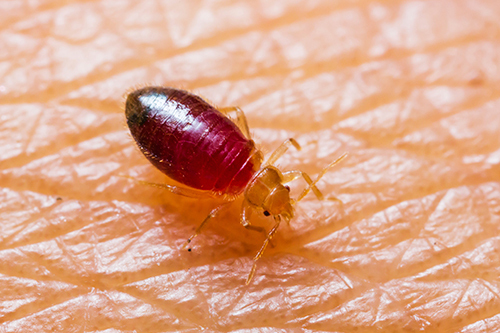 How do you travel safely without getting affected by these seemingly omnipresent bed bugs? These tips will help you to an extent. If your country’s security regulations allow it, you could pack all your luggage and bags in plastic. This way, even if bed bugs want to crawl and get into your luggage from somewhere else, they can’t do that. It is important that you choose the color and texture of your suitcase properly so that you can spot bed bugs easily and prevent being bitten by them. Hard-sided suitcases are highly recommended because they don’t give any room or comfort for bed bugs to hide. Also, you could opt for light or subtle-colored suitcases, because it is easier to spot bed bugs that way than when you carry dark-colored suitcases. The way you wash your clothes will help you stay safe from bed bugs at all times, especially while traveling. You should pack only those clothes that can be washed at a very high temperature. Bed bugs cannot stand a lot of heat, and they get killed at these temperature levels. Always take care not to leave your clothes on the floor or the bed of your hotel while you are traveling. You might have checked your hotel thoroughly for bed bugs; however, you cannot take the risk of keeping your clothes anywhere that seems a potential hiding place for bed bugs. Even before you settle down in your room, check all the places thoroughly, especially in the nooks and corners, to check for bed bug infestations, if any. If you spot anything that concerning, you need to intimate the hotel authorities immediately and request for a change of room. When you come back from your trip, wash all your clothes at a high temperature, before you start using them again. It is also recommended that you wash your bags thoroughly and leave to dry in the sun so that you can prevent bed bugs from entering your home, when you have come back after your travel. In short, it is very important for you to completely analyse your room in great detail and keep your belongings in sealed covers to prevent getting bitten by bed bugs when you are traveling.